The ideal sunny day companion. Throw shade in a good way with our generously proportioned, yet compact, sun umbrella. 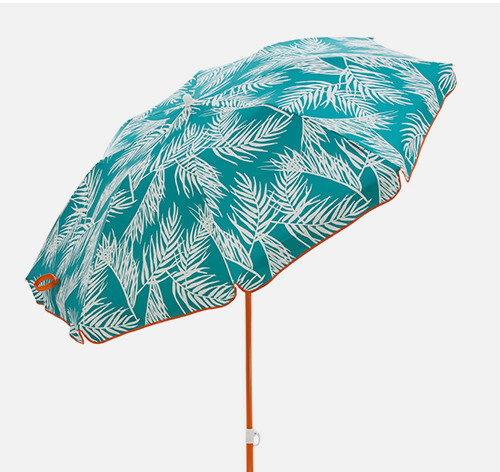 Stand out in the crowd with stylish, fun prints, the pack umbrella is perfect by the pool or at the beach. It even folds up to fit in your suitcase for your next holiday! The umbrella comes in three pieces and is easily assembled. Lift the collar to tilt the umbrella canopy. Rotate the umbrella downwards to the safety stick and compact the sand around the pole. 1.7m / 5’7″ diameter, up to 1.95m/6’5″ tall.